They've gotten high together. They've made music together. They've done Amsterdam together. When asked in 2015 about his friendship with Willie Nelson, Snoop Dogg described it as "love at first sight." And now, this past Christmas, Snoop showed that love with one of the best Christmas gifts a fellow stoner could ask for: an ugly Christmas sweater with the the words "Smoke Weed Every Day" proudly emblazoned on it. Nelson thanked Snoop for the gift on Twitter. Just look at this beautiful thing. At this point, Snoop Dogg's well-known for his gift-giving spirit. Last September, he gave his friend and cooking partner Martha Stewart a painted portrait of a dog, or a bear, or something. In December, the rapper took part in a Reddit Secret Santa and gave one woman a Snoop T-shirt, green tea, a pair of slippers scented candles, and a drone. "Merry xmizzle to you and your fam!" he wrote to her. But this gift to Nelson is a bit more personal. As Snoop Dogg sang on "My Medicine," their marijuana-celebrating, very country-influenced track together, "The more medicated, the more dedicated." 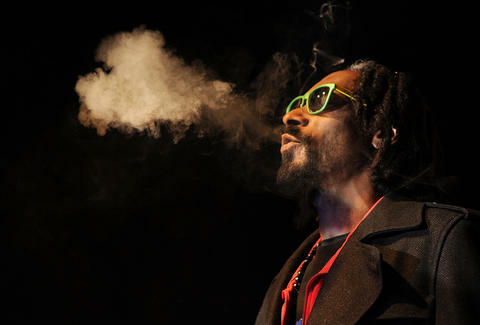 Snoop's jokingly described sharing a bucket of chicken in Amsterdam with Nelson as among the greatest moments of his life. "After enjoying life together," he joked on The Tonight Show. "We developed a hunger." The rest of that story is absolutely worth watching below. In the meantime, Merry Christmas, Willie and Snoop. "Smoke weed every day," to your hearts' desire.